Through an integrative approach to healing body, mind, and spirit, Grail Springs supports the opportunity to rediscover the self and nourish the soul. Immerse yourself in a variety of spa and healing therapies, daily yoga, meditation, evening talks or choose to partake in one of their new SOULSHOPS. Learn supportive practices to integrate into all aspects of your life. Retreat far enough to feel you have escaped to another world with hundreds of acres of pristine forest, walking trails, crystal outcrop, wildlife, labyrinth and an alkaline spring-fed lake. 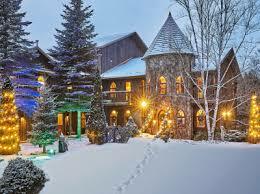 Guests are inspired by the natural beauty and recharged by the potent healing environment that supports them. Choosing Seaflora Skincare as a partner had more to do with the Professional Thalassotherapy Products they manufacture than anything else. We support Canadian made, and Canadian entrepreneurs, but Seaflora has created a unique product line not only unique to Canada, but to the world! They truly understand how to keep the skin healthy and youthful and teach Thalassotherapy, to their clients, and to all who join them on Seaweed Tours. Thalassotherapy is a wellbeing treatment we have come to believe in and practice at Grail Springs. Thalassotherapy is an ancient healing treatment dating back 5000 years and is based on the natural healing properties of seawater. The word itself was coined in 19th century France from the Greek “thalassa” meaning sea or sea goddess and “therapeia” meaning healing. In the mid 1800’s royalty, along with the rich & famous of the time would travel to France to ‘take to the waters’ as it was known, experiencing a warmed ocean water bath with raw seaweed found in abundance off the shores of France. 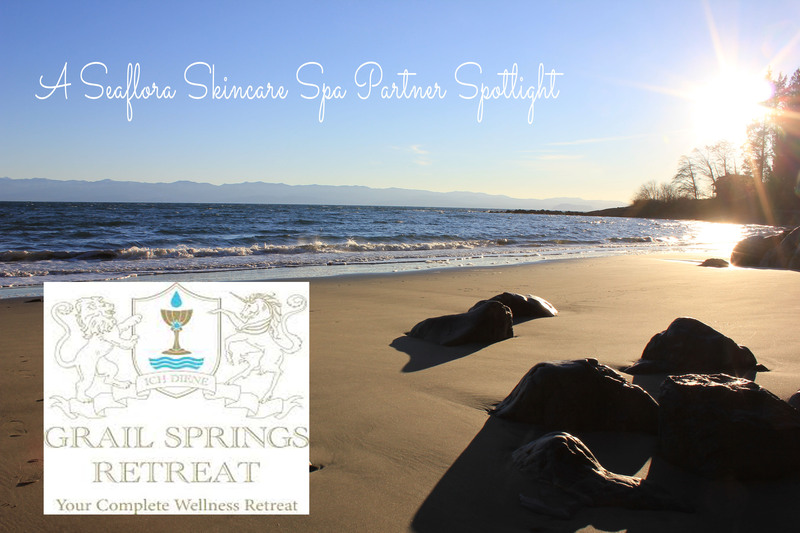 Today, those healing ocean water therapies can be experienced at Grail Springs with our thalassotherapy facial, foot & body treatments offering raw & certified organic seaweed skin & body care products from Seaflora’s ocean garden in the cool & clean Pacific Ocean. Thalassotherapy is used as a balancing treatment which benefits the connection between mind & body while focusing the attention on well-being & relaxation. Many positive benefits include reduced stress, reduced inflammation, reduced muscle soreness, mineral absorption which helps relieve chronic conditions including arthritis, psoriasis & eczema. 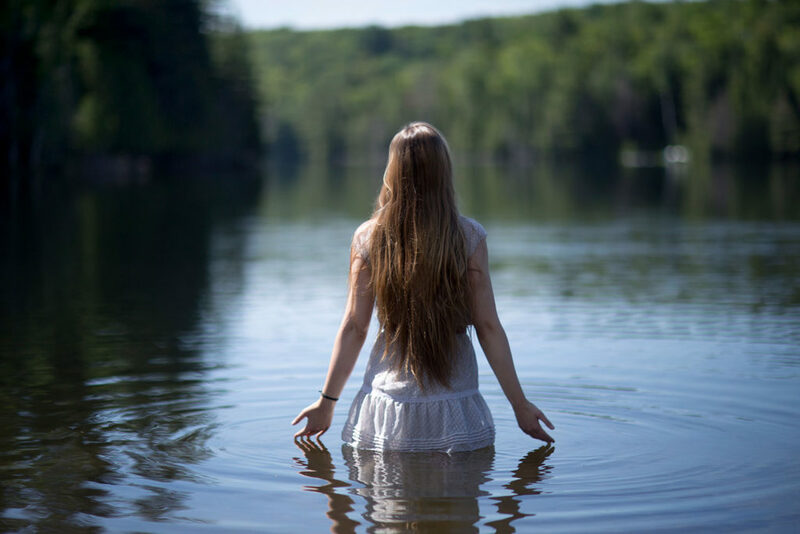 Thalassotherapy offers an effective and natural way to increase blood circulation and thereby reduce inflammation by moving toxins out quickly into the lymphatic system. Trying to maintain balance in our modern world can be exasperated by poor diet, stress and pollution. Essential minerals, found in seaweeds at 10-20X the concentrations of land-based vegetation, including iron, magnesium, sodium, potassium, iodine, phosphorus and calcium are readily absorbed directly through the skin into the bloodstream without digestion. Since the chemical make-up of seawater & seaweeds is so similar to that of our own blood plasma, these essential trace minerals help the body to assimilate the large concentrations of vitamins, amino acids, & polysaccharide sugars found in seaweed thereby to balancing our own interior ocean helping to maintain a healthy alkaline pH. Not only is there increased in blood circulation and reduced inflammation, but also has beneficial effects upon the pores of the skin such as firming, toning and moisturizing. Thalassotherapy also helps to detoxify by increasing lymphatic drainage and bind to heavy metal toxins like cadmium, mercury and lead and radioactive materials including Strontium-90. Increasingly, people are turning to thalassotherapy for its anti-aging treatments. It has become a favorite treatment for cellulite reduction both for its effectiveness as well as its calming approach to mind/body balancing. The causes of cellulite are generally attributed to poor blood circulation and a build-up of toxins, so an overall thalassotherapy treatment can release these agents while providing other benefits. Those clients dealing with chronic inflammation, pain, arthritis, eczema, psoriasis or anemia, will benefit greatly. 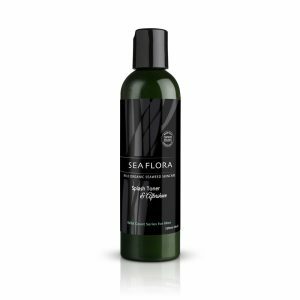 Our favourite Seaflora product is the Soothing Sea Kelp Soak and any of their Exfoliants as they are made with hand-harvested ocean mud. We really love the Seaweed Eye Chamois and the kelp fronds in the bath too! Our staff is a team of individuals dedicated to the holistic health philosophy with a sincere caring for individuals looking to improve their lives emotionally, physically, mentally and spiritually. We recommend Seaflora Skincare and seaweed treatments to those with skin conditions, looking for a boost in energy, nourishment, hydration. Just as we turn to diet and exercise for physical health, we teach people to turn to thalassotherapy for optimal dermal health and youthful longevity. We are celebrating our 25th year anniversary and receiving our third World Spa Award for Canada’s Best Wellness Retreat, and recently named Canada’s top ‘budget friendly’ retreat, so be sure to come visit and experience the magic of Grail Springs for yourself soon!